The Blackburn Vikings will be hosting a Level 1 (Club) Coaches Course on September 3 and 10 at Slater Reserve Stadium from 2.00pm - 5.00pm each day. 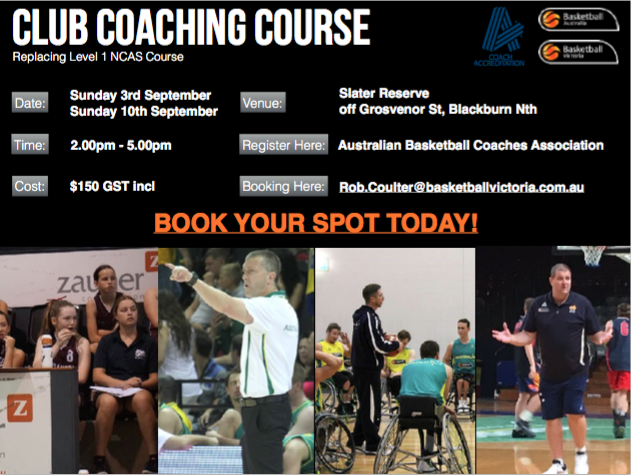 The course is to be presented by Blackburn Vikings Big V Coach and Former Australian Opals Assistant Coach, Peter Buckle. The course is open to all current and aspiring coaches. To register please click here.